“Boats were deposited in places we never ever thought we’d see in our lifetime,” said Bill Zimmerman, New Rochelle’s Parks and Recreation Commissioner. The same park, June 2013. The tiki structure survived the hurricane. A couple of weeks after Sandy, New York Governor Andrew Cuomo penned an op-ed in the New York Post. “Extreme weather is the new normal,” he declared, calling on the state to act, not simply react, in preparation for the next storm. New Rochelle is taking the Governor up on that challenge. 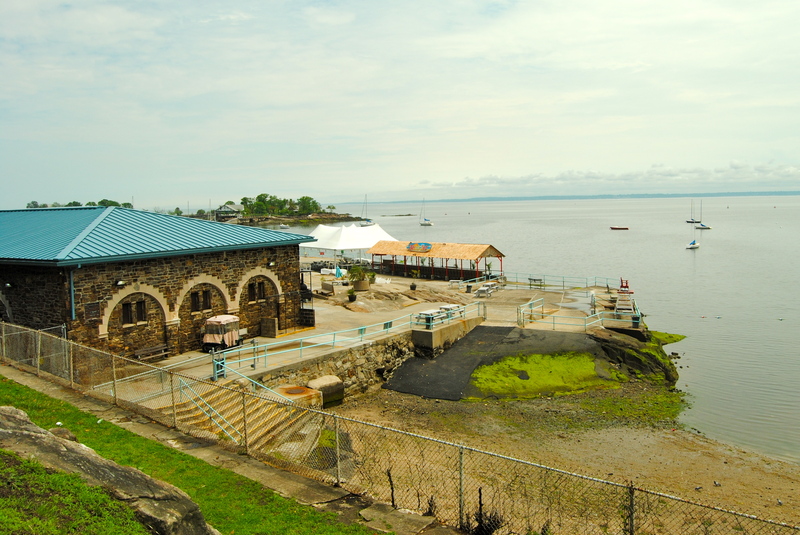 New Rochelle’s wastewater treatment plant is undergoing a $200 million makeover that will greatly improve water quality, preventing the sewage overflow that sometimes forces closure of the City’s beaches and undermines public health. “Lobsters will come back to life,” Zimmerman said, only slightly figuratively. 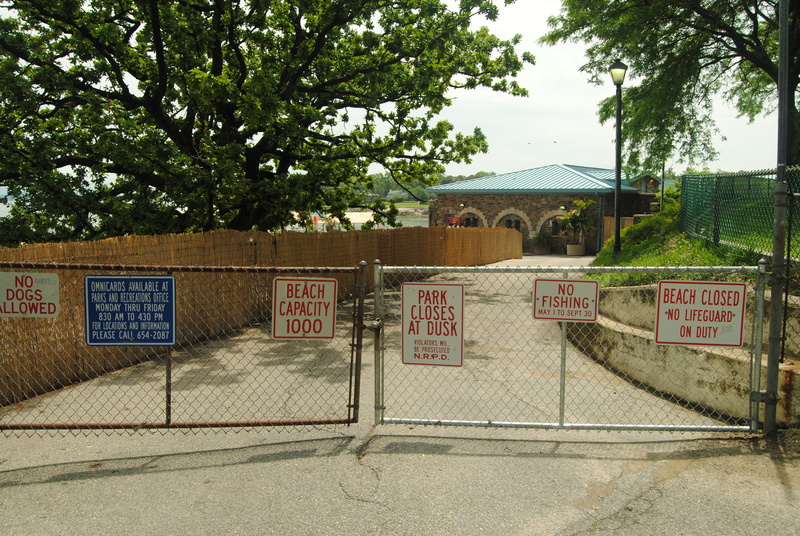 The day we visited, the beaches in New Rochelle were closed because of intense rainfall. Retrofits to the wastewater treatment plant should fix the problem of sewage overflow. 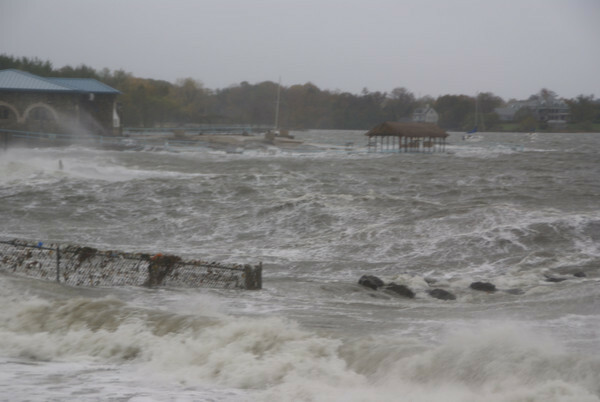 New Rochelle has also able to take advantage of FEMA relief funding to rebuild the five parks and municipal marina that were ravished by the storm. Though the federal grants only cover restoring infrastructure up to ‘historical pre-storm conditions,’ the City is capitalizing on the opportunity to use more sustainable construction methods. “If people can be patient, which they pretty much have been, at the end of the day we’re going to end up with a benefit that we wouldn’t be able to afford otherwise,” Zimmerman said. Hudson Park in New Rochelle, NY. 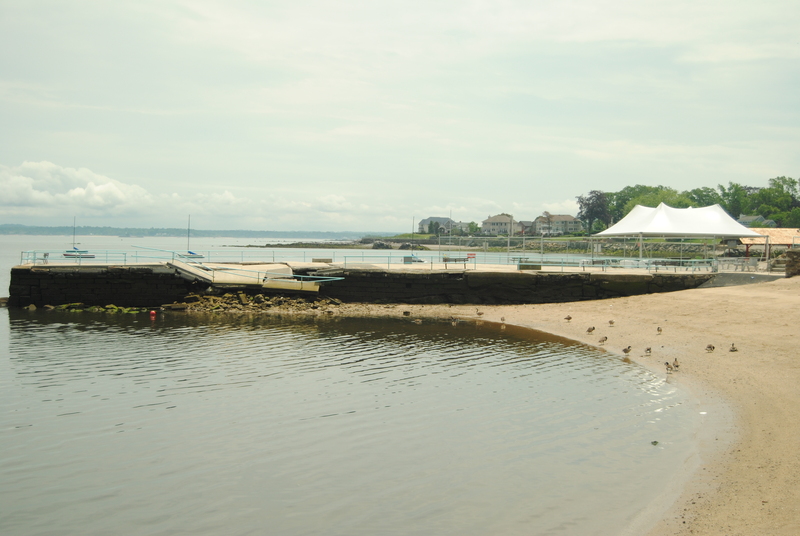 The City’s Sustainability Plan aims to open another mile of public beach. The City’s Sustainability Plan, which was in place even before the storm, sets 43 specific initiatives for the City by 2030. It was developed by a newly hired Sustainability Coordinator, Deborah Newborn—who herself was out of power for 13 days after Sandy—along with community board members, including environmental engineers, attorneys, and a priest at a large church. The Plan’s “big goals” include absorbing or retaining 25 million gallons of floodwater per storm and opening up another mile of public beach along Long Island Sound. Though a metrics-driven progress tracker and a list of the responsible departments accompany each goal, Newborn points out that there is not a single mandate in the document. 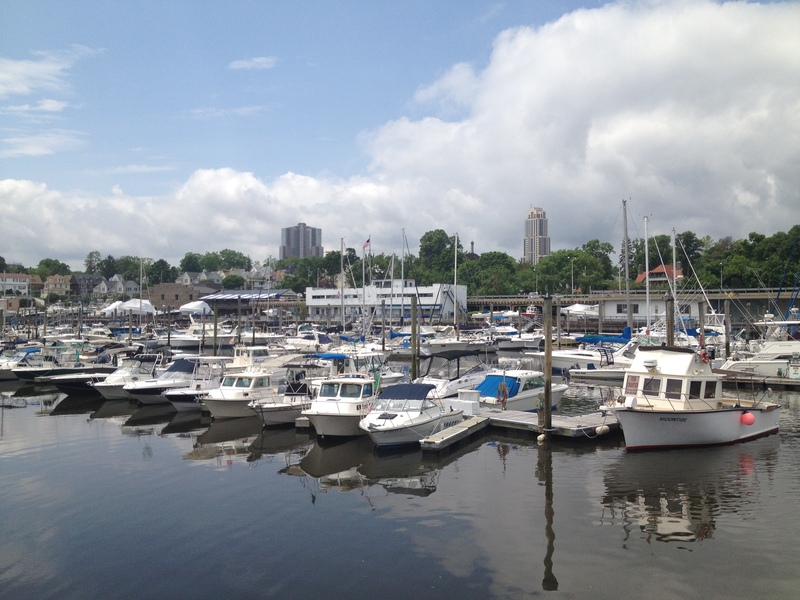 A cityscape of boats in New Rochelle. For many people across the Northeast, Hurricane Sandy exposed the fragility of systems—such as electricity—that are often taken for granted, giving a new sense of urgency to sustainability plans such as New Rochelle’s. Here, some of the newer apartment buildings with buried power lines fared better in the storm while most single-family homes lost power when branches and sometimes entire trees crashed down on the overhead infrastructure. But rebuilding the existing grid underground is an expensive, long-term proposition.